PADI, diving and Instructor Development (IDC) around Thailand: Does Drowning look like drowning? Does Drowning look like drowning? 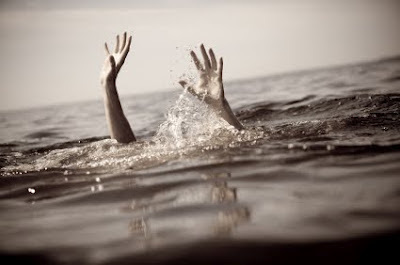 Recently I came across a very interesting article, written by Mario Vittone and it dealt with the way a drowning looks like in real life compared to what we know from movies or TV series and shows. The article originates from 2010 and I don't want to with hold it from you, hopefully you will be able to make a difference one day for being able to recognize a drowning accident in progress and save somebody's life! The article starts with a story in which a former lifeguard jumps in the water and starts swimming towards a couple who are splashing about. The bewildered couple tries to signal to him that they are fine but he keeps going and much to their surprise, he goes for their 9 year old daughter, not even a full 9 feet/3 meters away from them. Once the daughter is in the safe arms of the rescuer, she can manage to call for her Daddy. How did this former lifeguard know – from fifty feet/15 meters away – what the father couldn’t recognize from just ten? Drowning is not the violent, splashing, call for help that most people expect. The former lifeguard was trained to recognize drowning by experts and years of experience. The father, on the other hand, had learned what drowning looks like by watching television. If you spend time on or near the water (hint: that’s all of us) then you should make sure that you and your crew knows what to look for whenever people enter the water. Until she cried a tearful, “Daddy,” she hadn’t made a sound. "As a former Coast Guard rescue swimmer, I wasn’t surprised at all by this story' says Martio Vittone. Drowning is almost always a deceptively quiet event. The waving, splashing, and yelling that dramatic conditioning (television) prepares us to look for, is rarely seen in real life. 1. Except in rare circumstances, drowning people are physiologically unable to call out for help. The respiratory system was designed for breathing. Speech is the secondary, or overlaid, function. Breathing must be fulﬁlled, before speech occurs. If somebody is trashing and yelling in the water, that doesn't mean they're not in trouble though, they;re still experiencing some form of aquatic distress. Not always present before the instinctive drowning response, aquatic distress doesn’t last long – but unlike true drowning, these victims can still assist in their own rescue. They can grab lifelines, throw rings, etc.